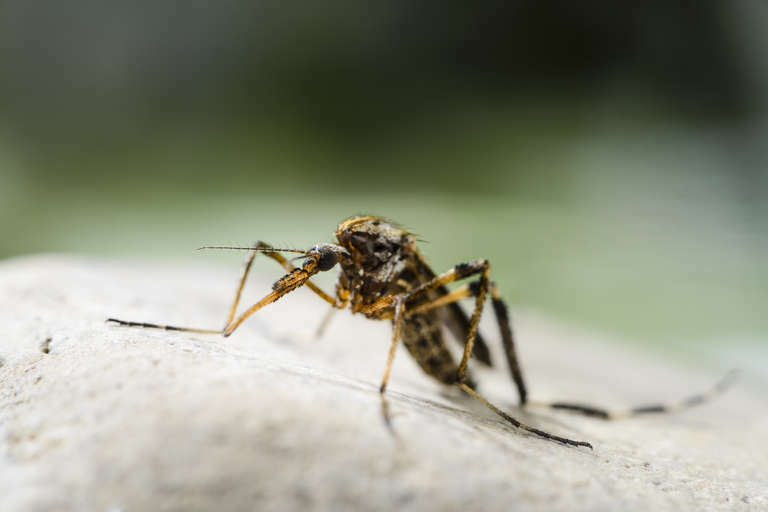 Officials in North Carolina are scrambling to combat the gallinipper, a mosquito species whose bite can feel like a stabbing. A	A	dd another item to your climate change anxiety checklist: Giant swarms of supersized mosquitoes whose bites feel like stab wounds. That’s what happening right now in North Carolina, where flooding from Hurricane Florence has resulted in a genuinely frightening plague of big and highly aggressive mosquitoes known as gallinippers. Upwards of 25 counties in North Carolina are now reporting a severe mosquito outbreak as standing pools of water, left over from the storm, have triggered a mosquito population explosion. North Carolina Governor Roy Cooper has authorized $4 million in relief funds to fight this plague, and government officials are deploying trucks and aircraft to spray pesticide across the state. Unfortunately for North Carolinians, size makes all the difference when it comes to stinging insects. Like all mosquitoes, gallinippers have serrated jaw-like parts called maxillae that can puncture skin, but their maxillae are designed to pierce the hide of their preferred prey — large mammals like deer and cows. So when a gallinipper bites, you really feel it. In fact, the sting of a gallinipper can cut straight through the outer layer of skin and into nerve cells in the epidermis. Those who have dealt with gallinippers will tell you that it can feel like you’re being stabbed. Those deep bites can be dangerous, too. Because these hefty mosquitoes can pierce so deeply into the epidermis, their bites are more prone to infection. The threat of infection is worse if you scratch the irritated area too hard, because you risk tearing up multiple layers of skin. Gallinipper bites are infamous for turning into bleeding scabs. Alas, I’m writing from personal experience, and I can attest to the current mosquito outbreak as well. In Chapel Hill, located in the central part of the state, mosquitoes are gathering in visible swarms. The other day, our dog was attacked by a swarm to the point where we cold literally see a layer of bugs crawling over her fur. Our local mosquito control company is offering free service to combat this menace. So yeah, it’s a mess. And while the mosquito outbreak is definitely a result of Hurricane Florence flooding, experts are warning that such insect plagues are also most likely an indirect result of climate change. The emerging scientific consensus is that global warming is already causing hurricanes and storms to be both more frequent and more severe. That means more flooding, which in turn means more mosquitoes. In the case of the North Carolina gallinippers, more storms and wetter conditions are a devastating combination. This is because the female gallinipper has a different egg-laying technique than most other mosquitoes. Gallinippers overproduce their eggs, and while they prefer to place them in or near water, they can also make do with dry grasslands. Normally, most of those eggs dry up and die. But gallinipper eggs can lie dormant for years. When an otherwise dry area floods and develops standing pools of water, those dormant eggs activate, resulting in massive swarms of colossal and hyper-aggressive mosquitoes. Which is what we’re dealing with now, and what we can look forward to dealing with more in the future. Which is nice.